It is the best way to understand the anger of your dogs. 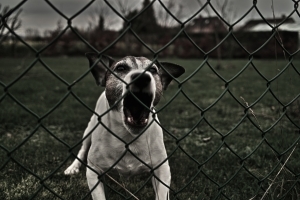 According to the Journal of The American Medical Association the number of dog bites in America topped 4.5 million in 2010. This means that 4.5 million people—many of them children—were the victims of canine aggression in just that one year. One obstacle to solving the problem may be that aggression doesn’t seem to be a simple behavior or even a simple set of behaviors. There are over 250 definitions of aggression in the scientific literature. The ASPCA lists 12 types of aggression in dogs. Another thing to consider is that our current understanding of aggression has some inherent paradoxes. It's often classified as a survival-based behavior, designed to protect an animal’s survival or the survival of its genetic code. Yet acting in an aggressive manner can endanger an animal, undermining both aspects of its “survival” value. This is especially true of dogs: the quickest way for a dog to be euthanized is to bite someone. To confuse matters further, in human society the word aggression is often used as a positive. A businessperson might be praised for having an aggressive business model. We might talk of a painter or composer showing a new aggression in their work. There are “aggressive” forms of cancer. The word can even be applied to plants. And clearly if two of the world’s leading experts on dogs—Dr. Stanley Coren and Dr. Roger Abrantes (both quoted above)—see canine aggression in two seemingly opposite ways, there’s not much chance the rest of us can attain any kind of clarity on this. Unfortunately, while this is sound science, it seems to almost force us to project human-like thought processes onto animal behavior. Here's a list of what we can reasonably claim to know, and what's actually being assumed in the 3 examples above. 2) We can know that a dog’s lips sometimes curl back when he’s in an aggressive mood. But we can’t know or assume that he’s doing it deliberately to signal his intent. What kinds of things can we know about a dog's internal states? This may sound heretical, but I think by carefully observing canine body language, and by finding commonalities in human and canine responses to certain stimuli, we can reasonably presume to know at least a littlesomething about how dogs might feel. Of course it's easy for me to stand on the sidelines and criticize how the principle of objectivity almost forces us to anthropomorphize animals. But my position, as a dog trainer, is that in order to successfully deal with a problem like aggression, we have to know what’s motivating a dog to behave the way he does. When you take your car to a mechanic, you want someone who can get under the food, find the problem and fix it. So what’s under the aggressive dog’s hood? Modern affective neuroscientists would disagree. Charles Darwin himself wrote an entire book on the similarities between The Expression of Emotions in Man and Animals. Modern researchers like Jaak Panksepp and Tim Dalgleish have located the specific neural substrates controlling human and animal emotions. They’ve gotten under the hood. Even without the work done by modern neuroscientists, I think it’s entirely possible to see things from a dog’s perspective and still be objective. After all, much of human behavior seems to originate in the older parts of the brain (the reptilian complex and the limbic system), shared by both dogs and humans. So we just have to tap into the instinctive centers in our own minds to find homologues of instincts and emotions that form the motivations for most canine behavior. Humans are social beings. So are dogs. If you’re reading this on the internet, you’re using a set of tools that allow you to feel connected to other people and to various forms of information. If you’re like some people (a lot of people, apparently), you don’t feel completely grounded unless your smart phone, tablet, or computer are always nearby. Freud was heavily influenced by Greek philosophers and dramatists like Aristotle and Sophocles. When outlining the principles of drama, Aristotle said that dramatic tension is created when the protagonist’s desires come up against an obstacle, created or caused by a) another character’s behavior, b) the world at large, or c) inner conflicts within himself. Of course there has to be a precipitating event. Some unforeseen occurrence has to interfere with the protagonist’s normal, every day life, his "homeostasis," if you will. It’s that initial change in circumstances or internal feelings that sets him down a comic or tragic path. In the biological sciences, events that disturb an animal’s homeostasis are known as stimuli. A need (like food) or desire (like wanting to play) stimulates the animal, interrupting his homeostasis, creating a flow of tension, which, in effect, pulls or motivates the animal to move toward an object of attraction. If an obstacle presents itself or comes into the animal’s path and prevents him from attaining his goal, he can a) find a way around it, b) give up momentarily to try again later, or c) push right through it. It’s my hypothesis that c) is what precipitates all forms of aggression in animals. Pushing past an obstacle is aggression in its most basic form. Whether a dog will actually attack another dog, person, or animal is—at this level of understanding—irrelevant, and depends on other variables such as temperament type, past history, even something as simple as the dog’s physical health (dogs are often more likely to act aggressively when they're not feeling up to par). What about offensive, defensive aggression, and predatory aggression? If a dog’s emotional balance (homeostasis) is adversely affected by the stimulus of a strange dog coming into his “personal space,” or by a uniformed stranger (like a mailman) entering his yard, etc., those would be precipitating events, causing the dog to feel threatened, and motivating him to interact in such a way as to return to homeostasis, i.e., a non-threatened feeling state. In neither case could we reasonably assume that the threatened dog is acting aggressively to “change the behavior” of the other being, defending what he thinks of as his “territory,” or attempting to dominate (put himself in a higher social position than) either of them. So here the dog's need or desire is to feel safe. And the obstacle is the appearance of another being—dog or human—that stimulates sudden feelings of danger. As for predatory aggression, that too can be successfully explained using this basic model. Hunger, and the movements of the prey animal, are the stimuli. The changing terrain and the potential for the target animal’s escape are the obstacles. Are my hypotheses based on what’s observable and testable? Frankly, I don’t know. What I do know is they’re no less observable than most of the explanations for aggression that we have now, explanations that rely on assumptions about a dog’s internal mental states rather than on his or her emotional or embodied feeling states. But for now, I think this gives dog trainers and dog owners a new way of looking at aggression, from the dog’s point of view. And once we know that a dog's aggression is essentially an attempt to relieve feelings of pressure, tension, and stress, we can find ways to show the dog how to find an alternative outlet for those feelings.